Before I go to the office of a morning, I usually stop at the donut shop for a cup of coffee. Some mornings I yield to temptation and eat a donut. I guess this makes me somewhat of an expert on these high cholesterol, artery-clogging treats. 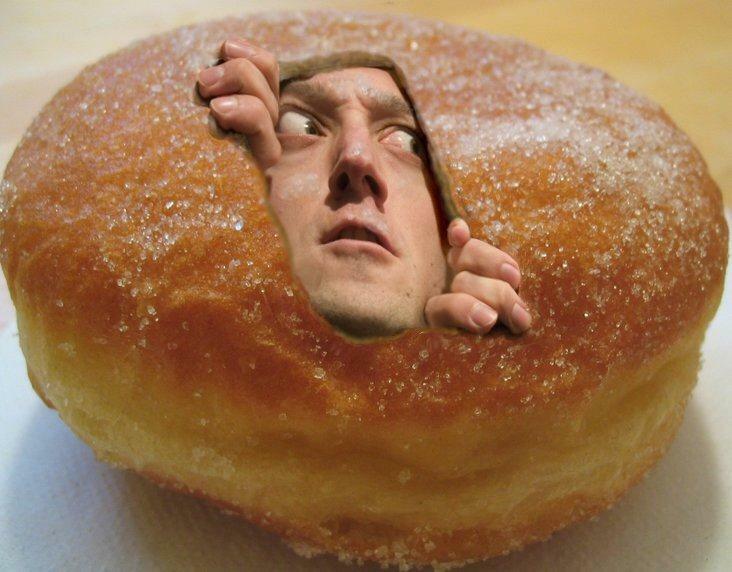 Keep your eye on the doughnut and not on the hole. Some people focus so much on what they think they are missing, they miss out on the joys of life. Because they are always wanting more, they know nothing of contentment. If you just focus on your misfortunes, you will miss the fortune you have in your family, your friends, and in your Savior. Think about them, express your gratefulness and great fullness can be yours to enjoy.